stories about the actual writing) we can say with some certainty that it was written around 1763, but not published by Augustus Toplady until 1775. 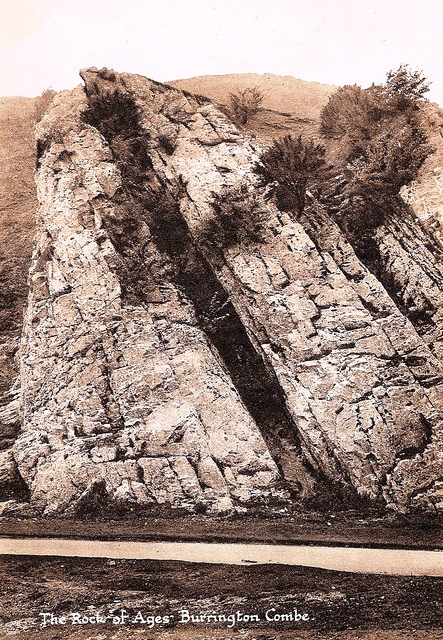 What I did not know was that the actual “Rock of Ages,” the actual “Rock” really existed, and you can visit it today. 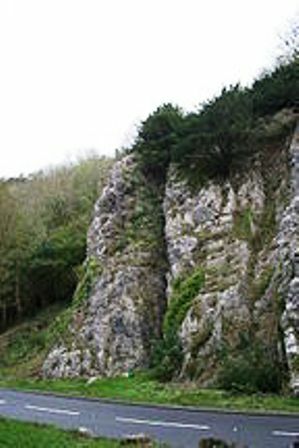 It is located in Burrington Combe in Somerset, which is in Southern England. 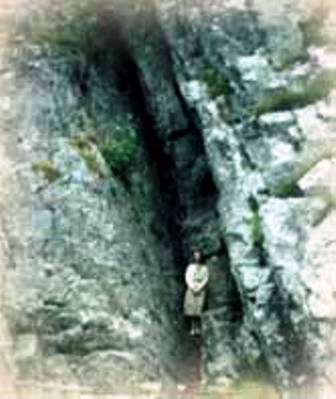 I have taken great pleasure of being able to find photographs of the actual “Rock” in which Toplady sought out a cleft, for safety and protection. Augustus Montague Toplady was born at Franham in Surrey, England, on Nov. 4, 1740. His father was killed in battle a year later. Augustus was a sickly child; he suffered from tuberculosis, “consumption” as it was then known, and would only live 38 years. Augustus was educated at Westminster School in London and at Trinity College in Dublin, where he graduated in 1760. Toplady received his degrees of Bachelor of Arts and Master of Arts from Trinity College. While in Ireland, he was converted at a revival in a barn after listening to a sermon by James Morris, a Methodist preacher. At a very young age he showed a keen interest in developing a relationship with God. By age 12 he was preaching sermons, and at age 14 he began writing hymns. He was ordained as an Anglican priest at the age of 22. His first published work was “Poems on Sacred Subjects” published in Dublin in 1759. He would also write highly regarded religious books. Ordained deacon in 1762, he was licensed to the curacy of Blagdon. Two years later, he was ordained as a priest. While walking along the road outside of Blagdon, near the village of Somerset, he was caught in a rapidly approaching thunderstorm, a loud, thundering storm with dangerous lightning. For a brief moment, the lightening showed his escape to safety. 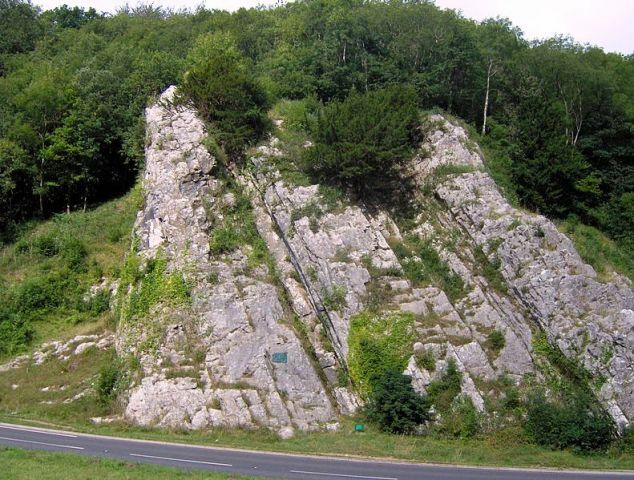 It was the rocky landscape of Burrington Combe, complete with crags, cliffs, and caves! 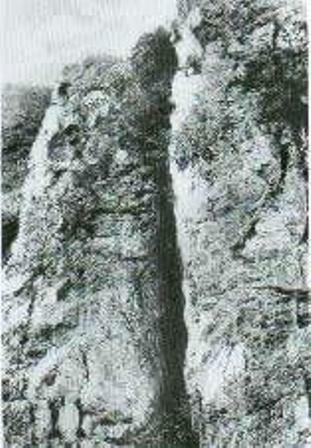 Burrington Come climbs 250 feet toward the sky, with the Mendip Heights on one side, and Cheddar Gorge on the other. Anyone who has been caught out in a raging thunderstorm can easily picture the scene. He would have to act fast, as you can imagine the torrents of rain streaming down the cliff-sides. The power of those opening words … I can feel, right now, as I sit here (albeit safe and secure), waiting out the latest Winter Storm, a late February/Early March ‘Noreaster. I feel the power of those opening words, and it has now been 250 years since they were first scribbled, on a rocky cliff in England. After going through a major “Storm of Life” just too recently, with great loss, my tears won’t allow me to clearly see the rest of the words. He is the “Rock of Ages.” Praise His Holy Name! 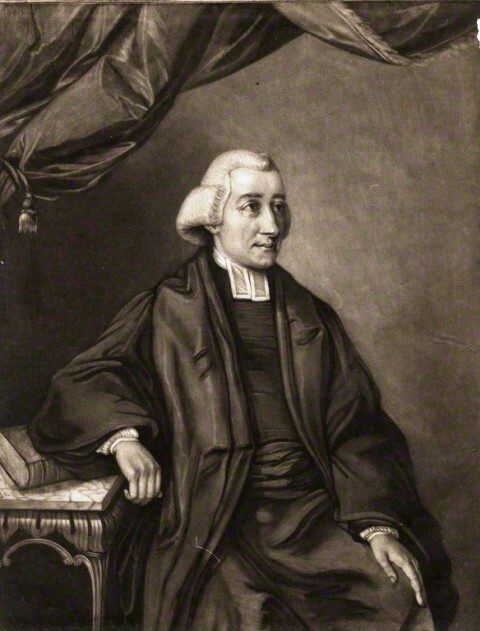 Augustus Montague Toplady wrote over 100 poems and hymns. As his death neared, he sensed God’s presence. “O what a day of sunshine this has been to me! I have not words to express it. It is unutterable. O my friends, how good is God!” The day he died, he was calling, “Come, Lord Jesus, come quickly!” He told his friends that he could not live much longer, for no mortal man could live after seeing the glories of God that he had seen.” Not yet 38 years old, he died on August 11, 1778. The “Role” that the “Rock” plays is the most important fact in your life. After just having gone through a tremendous time of pain, mourning, and grief, I can tell you with the most realistic certainty that, without Jesus, how could we make it through? Plain and simple: We can’t. Is your “house,” your life, built upon the Rock? What “Role” does the “Rock” play in your “house?” in your life? Deuteronomy 32:15 But Jeshurun waxed fat, and kicked: thou art waxen fat, thou art grown thick, thou art covered with fatness; then he forsook God which made him, and lightly esteemed the Rock of his salvation. 1 Samuel 2:2 There is none holy as the LORD: for there is none beside thee: neither is there any rock like our God. Psalms 18:31 For who is God save the LORD? or who is a rock save our God? Psalms 18:46 The LORD liveth; and blessed be my rock; and let the God of my salvation be exalted. Psalms 28:1 Unto thee will I cry, O LORD my rock; be not silent to me: lest, if thou be silent to me, I become like them that go down into the pit. Psalm 31:3 For thou [art] my rock and my fortress; therefore for thy name’s sake lead me, and guide me. Psalms 42:9 I will say unto God my rock, Why hast thou forgotten me? why go I mourning because of the oppression of the enemy? Psalms 62:6 He only is my rock and my salvation: he is my defence; I shall not be moved. (Note this is one of few times which an exact Scripture is repeated, word for word, in the same chapter). Psalms 71:3 Be thou my strong habitation, whereunto I may continually resort: thou hast given commandment to save me; for thou art my rock and my fortress. Psalms 94:22 But the LORD is my defence; and my God is the rock of my refuge. Isaiah 51:1 Hearken to me, ye that follow after righteousness, ye that seek the LORD: look unto the rock whence ye are hewn, and to the hole of the pit whence ye are digged. (You might say His Role is the Rock. Tagged BIBLE STUDY, Christian life, Christian quotes, Jesus is the Rock, pastor quotes, quotes for Christians, Richard.Vincent.Rose., words for daily living. England, it seems every Pastor has a favorite David Brainerd story. 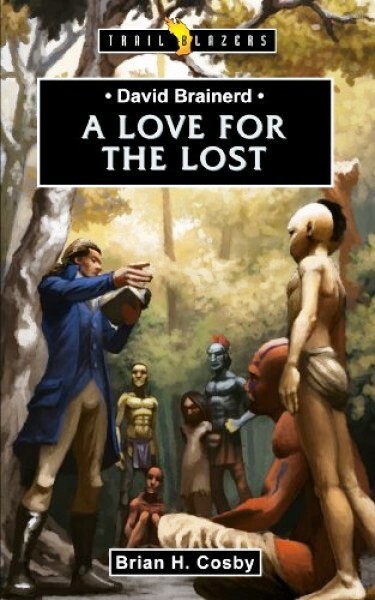 My own personal favorite, and I will paraphrase as best I can from memory, was when David Brainerd was scheduled to preach to a large group of Indians, and as was usually the case, he did not know, nor speak their language. His interpreter showed up completely and totally, “falling down” drunk, almost unable to speak coherently. But, there was no one else available who spoke both English and the Native Indian language. Somehow, the interpreter managed to stay awake and standing long enough to stammer through the message. What happened? God’s Word was so powerful that many, many of the Indians came forward to accept Christ as their Savior and Lord. 1745, to June 19, 1746) are full of ministry and miracles that read like The Acts of the Apostles. 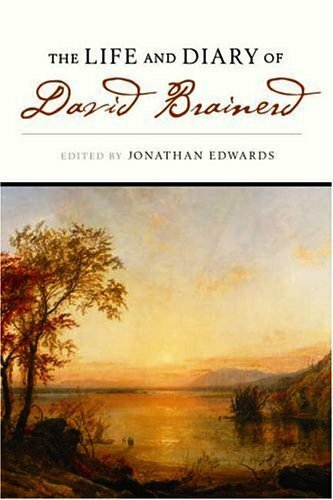 The Life and Diary of David Brainerd has had a life-transforming effect upon many, motivating them to become missionaries, evangelists, preachers, and people of prayer and power. 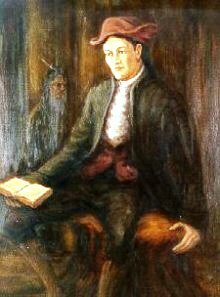 John Wesley said, “Let every preacher read carefully over the life of David Brainerd.” He is remembered not only as the great Apostle to the North American Indians, but also as a chief source of inspiration in the lives of thousands who have been challenged from ease and selfishness to lives of holiness and sacrifice, as they have prayed and wept over his Journal. incessant prayer as he strove for acceptance with God. On July 12, 1739, at 21 years old, he returned to his secret place of prayer, where God spoke to him as the day dawned, and he had a glorious salvation experience. 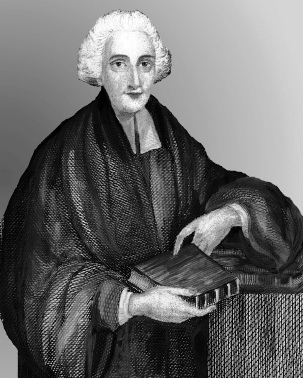 On July 29, 1742, he was licensed to preach as a Presbyterian at Danbury, Connecticut. 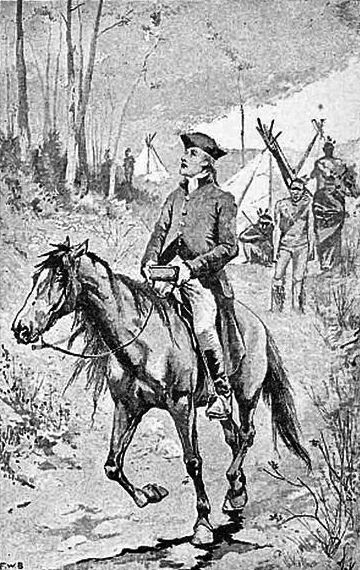 Brainerd’s first sermon was on July 30th at Southbury, Connecticut, using I Peter 4:8 as his text and his first message to the Indians was soon after, on August 12, near the Connecticut-New York border. He traveled as an itinerant preacher for several months. David would travel over 15,000 miles on horseback, often in great pain. He preached from place to place that first winter, then served as a supply preacher at East Hampton, Long Island, New York for six weeks. On his last Sunday there, March 13th, although he could hardly stand up, he preached for an hour and a half. The next day, he left for work among the Indians. He said later, “I never, since I began to preach, could feel any freedom to enter into other men’s labours and settle down in the ministry where the gospel was preached before.” He felt he had to preach where Christ was not named nor known. He left for his life’s work March 25, 1743. 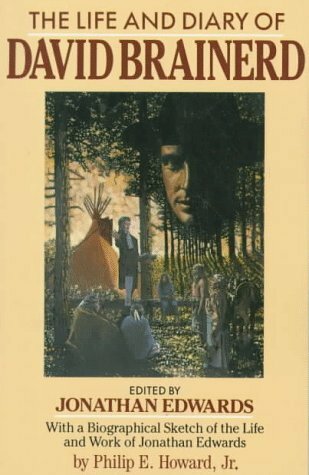 Here is one story of many, this one from his first visit to Indian tribes on the Forks of the Delaware River: Arriving the night before he would begin his work, he camped just outside the Indian settlement. He did not know, until the next morning (when he safely entered the Indian village) that he was being watched by warriors who were sent to kill him that night. The warriors made their move, approaching David’s tent, when they saw their target, on his knees, praying. Then, they saw a rattlesnake crawl up to David’s side, and lift up his head to strike. David did not even see the snake, even when the rattlesnake’s forked tongue almost touched his face. Then, suddenly, for no reason, the snake froze, and then quickly slithered away into the woods. David had no idea he was inches from sure death-one way or the other. 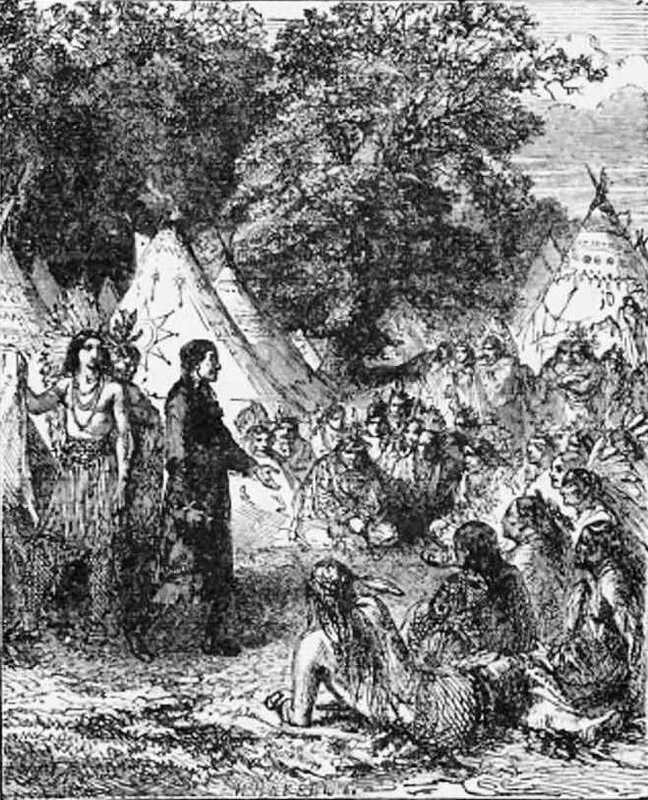 However, the Indians ran back to the village and proclaimed that “The Great Spirit is with the paleface!” And, they gave David Brainerd a prophet’s welcome. His short life with the Indians would be full of miraculous interventions of God on his behalf, and of the great ministry and revivals that would follow. The 53rd chapter of Isaiah was exceedingly precious to David Brainerd. When preaching to the Indians, his favorite theme was Isaiah 53. And, when he came to the end of his life, the last entry he made in his Diary contained a quotation from the 53rd chapter of Isaiah.